After graduating from TED Ankara College in 1979, and Boğaziçi University Mechanical Engineering Department in 1983, he received Mechanical Engineering master degree from University of Minnesota in 1986, Mechanical Engineering doctorate degree from Bilkent University in 1990, Business Administration doctorate degree from University of Wisconsin in 1995. He completed Harvard Business School AMP program in 2010. He worked as process engineer in Arçelik in 1986, mechanical design engineer in Aselsan in 1988, teaching assistant in Bilkent University in 1992 and in Suffolk University between 1995-1997, Assistant General Manager in Protek Computer Systems between 1997-1999, and took part in many domestic and foreign projects between 1990-1997. He started to work as Technical Work Coordinator in Eti Group of Companies in the end of 1999, and became Executive Committee Member as Technology Group President in 2006. Later, he became Technology and Product Development Group President, Sales Group President, Supply Chain Group President; and in 2011, he became Chief Executive Officer. Hakan Polatoğlu is married and has two children whose names are Yunus and Mavi. Zeynep Dipçin Akdoğan was born in 1973 in Istanbul. She graduated from Beyoğlu Anatolian High School and Istanbul University Faculty of Economics and Administrative Sciences, Business Administration Department. She began her professional life in 1995 as Assistant Brand Manager in Colgate Palmolive and continued her career as Brand Manager and Group Brand Manager in Johnson&Johnson between 1997-2005. Zeynep Dipçin Akdoğan joined Eti Group of Companies as Category Manager in 2006 and she has been working as Marketing Group President and Executive Board member since November 2015. 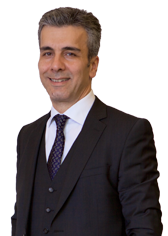 Adnan Nuri Özkaya was born in 1966, and completed his bachelor's degree education in Boğaziçi University Business Administration Department. 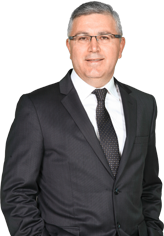 Özkaya began his professional life in 1988, and after working in audit department of Arthur Andersen company between 1988-1993, he joined Lafarge Group. He worked as CFO in Yibitaş Central Anatolian Cement Group between 1994-1997, and as Director in charge of Business Processes Inspection in the head office of Lafarge S.A. in Paris between 1997-1999, and then worked as CFO and Vice-Chairman in charge of Strategy and Business Development in Lafarge Turkey Group between 1999-2001, and as CEO between 2002-2010 in the same Group. After acting as Independent Board Member and Management Consultant between 2010-2015, Özkaya began to work as Finance Group President in Eti Group of Companies in 2016. Adnan Nuri Özkaya has 2 children. 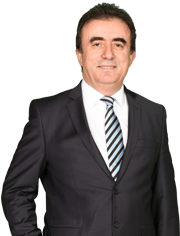 Dr. Ahmet Görgülü was born in 1959, and graduated from Yıldız Technical University Faculty of Mechanical Engineering, Mechanical Engineering department in 1984 as Senior Mechanical Engineer. He received Doctorate degree in 1993 from Eskişehir Osmangazi University Faculty of Engineering and Architecture, Mechanical Engineering Department. He graduated from Anadolu University Faculty of Economics in the same year. Görgülü began his professional life as Research Assistant in Anadolu University in 1982, and began to work in Eti Group of Companies in 1986 as Special Machines Maintenance Engineer. Then, he worked in Eti Group of Companies, respectively, as Factory Director in 1996, Factories Director in 2000, Eti Gıda Sanayi ve Ticaret A.Ş. Assistant Technical General Manager in 2002, New Investments Coordinator in 2005, New Investments and Product Development Coordinator in 2010 and New Investments and Product Development Group President in 2011. 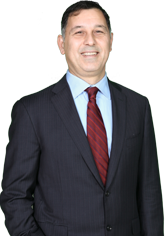 Görgülü has been working as Technology and Product Development Group President since 2012. Ahmet Görgülü is married and has two sons. Ali İhsan Yapar was born in 1968, and graduated from Middle East Technical University Faculty of Engineering, Department of Industrial Engineering. Yapar began his professional life as planning engineer in Best A.Ş. in 1989; then he worked as Planning Engineer and Production Chief in Transtürk Fren, Project Engineer in Tofaş, Production Manager and Planning Manager in Vestel Elektronik A.Ş., Factory Manager and Assistant General Manager in Elektropak A.Ş. Yapar became Factory Manager in Eti Group of Companies in 2006, and became Factories Director in 2010. He has been working as Supply Chain Group President since 2011. Ali İhsan Yapar is married and has a son whose name is Cem. Erdinç Ayhan was born in 1977 in Istanbul. 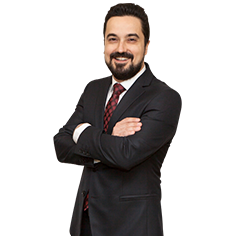 He graduated from Kadıköy Anatolian High School and Boğaziçi University Faculty of Economics and Administrative Sciences, Business Administration Department. He completed his master's degree in Marmara University Capital Markets and Stock Exchange Department. Starting his career in 1997 at İpek Kağıt Financial Affairs Department, Erdinç Ayhan worked in various sales and marketing positions between the years 2000-2006 in charge of Europe, Caucasus, Central Asia and Middle East regions. From 2006 through 2017 he served as the Foreign Sales Manager and International Sales Director of the same company. Effective from February 2017, Ayhan has assumed the title of Eti Export Group President and Executive Board Membership role. Erdinç Ayhan is married and has a son. Sibel Akgün has graduated from Boğaziçi University Business Administration Department and completed Executive MBA program in Harvard Business School. She started her professional life in 1994 as Human Resources and Developmental Expert in Coca-Cola and Efes Beverages which were operating as part of Anadolu Group. Afterwards she held Training and Development Manager Role in the same company with Central Asia, Caucasus and Russia regions responsibility. In 1998 she established Human Resources Department in Çelik Motor which belonged to Anadolu Group and assumed the role of Human Resources Manager being responsible for Turkey, Central Asia and Russia regions. Between 2000 and 2006 she worked as Human Resources Director in Aventis Crop Science and Bayer Crop Science merger as responsible for Turkey, Central Asia and Caucasus regions. Between 2006 & 2010 she worked as Global Human Resources Director in Colgate-Palmolive, responsible for Turkey, Central Asia, Ukraine and Belarus regions. She worked as Human Resources Director in Coca-Cola Company Moscow Office, responsible for Russia, Ukraine and Belarus regions and then in İstanbul office, responsible for Eurasia and Africa regions including 95 countries between 2010 and 2013. She carried out Human Resources Directorship role in Merck Group Turkey, responsible for Turkey, Russia, Central Asia and Middle East regions between 2013 and 2017. 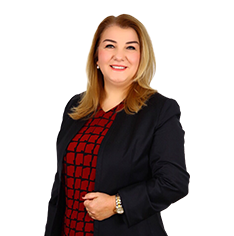 Sibel Akgün specifically focused on leadership development, managerial structuring and leading human resources strategies throughout her career. As of November 2017, Akgün has assumed the title of Human Resources Group President and Executive Board Membership role in Eti Group.